On the night Janie waits for her sister, Hannah, to be born, her grandmother tells her a story: Since the Japanese occupation of Korea, their family has lost a daughter in every generation, so Janie is charged with keeping Hannah safe. As time passes, Janie hears more stories, while facts remain unspoken. Her father tells tales about numbers, and in his stories everything works out. In her mother's stories, deer explode in fields, frogs bury their loved ones in the ocean, and girls jump from cliffs and fall like flowers into the sea. Within all these stories are warnings. The year that Hannah disappeared, the first frost came early, killing everything in the garden. It took the cantaloupe and the tomatoes; the leaves of lettuce turned brittle and snapped. Even the kale withered and died. In front, the wine-colored roses froze, powdered gray with the cold, like silk flowers in an attic covered with dust. My father and I had planted the garden over several weekends, and tended it carefully. Then it had overgrown itself, the tomatoes winding themselves up the wall of our house and stretching out to span the distance to the fence. After the frost we'd left it all winter without trimming anything back. Now we stood on the lawn, surveying the ruin, tracking damp patches of ground wherever we stepped. "We're selling the house," my father said, blowing warm air on his hands. How do you interpret the book's title, Forgotten Country? What has been forgotten and how does that affect the characters and their decisions? How do the folktales and past family histories woven together with the present-day narrative work together to tell a complete story? Secrets and truth are hidden or revealed in varying degrees throughout the novel. What are some of these truths and secrets? What motivates the characters to hide the truth or seek it out? Forgiveness, and the inability to forgive, is a theme that runs through the book. What is forgiven and what isn't - and why? Do you agree with characters or not in what they choose to forgive? 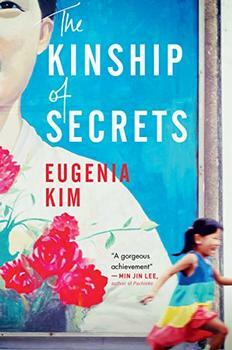 ...Chung knows her protagonist, and the strength of that finely tuned characterization carries the plot. Even when some plot points remain unresolved, it is forgivable because, well, that's just the kind of person Janie is. Her Eastern/Western culture blend doesn't beg easy answers or pat resolutions. So, reader, we will have to forego them as well. No matter. Really. Some of the best books leave us with undigested morsels to ponder at our leisure. Now that Chung has reached such a high bar with fiction-as-memoir I look forward to where her considerable skills will take her next. (Reviewed by Donna Chavez). Starred Review. [A] beautiful debut novel... woven with tender reflections, sharp renderings of isolation, and beautiful prose. Starred Review. Chung's limpid prose matches her emotional intelligence. Starred Review. This elegantly written, stunningly powerful, simply masterful first novel should earn Chung many fans, especially among those who enjoy Amy Tan, Eugenia Kim, Lisa See, and Chang-Rae Lee. It is a rare novel - debut or otherwise - that can sing at once with such tenderness and ferocity, with such intense feeling and exquisite restraint. Forgotten Country is just that book, poetically crafted, shimmering with hard-won emotion, and wholly absorbing. A superb performance. A heartbreaking debut novel that will leave you quietly shattered in its wake. Forgotten Country is an exquisitely rendered account of a Korean immigrant family divided by two sisters, two countries and a curse that spans generations. Catherine Chung has written a haunting meditation on family loyalty and the lingering legacy of war. I was left utterly devastated by the wonder and heartbreak captured in these pages. Forgotten Country is overflowing with folktales and family secrets, with American and Korean traditions, with haunting prose and mathematical beauty. Here is a book to cherish, and to celebrate. When I finished the last page I made a promise to myself to be more fearless and fierce with my love; it's that kind of book. When I finished Forgotten Country, I thought 'Forget about this book'. I kept waiting for something to happen, a reason to keep reading. Nothing ever happens. The family in Forgotten Country flees South Korea in the tumultuous wake of what many South Koreans consider to be the worst tragedy in Korean history since World War II - worse even than the Korean War. 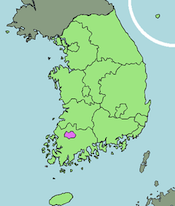 Indeed by all accounts the event that took place in May of 1980, known as the Kwangju Massacre, when hundreds of students and private citizens of a university town (also known as Gwangju or Gwangju Metropolitan City) were slain by the Korean military, is widely acknowledged as a national tragedy.